This challenging and insightful Japanese animated film by female director Naoko Yamada moves us well beyond the Studio Ghibli era. Like the dazzling ‘Your Name’ (2016), it takes a high-school story and runs with it. 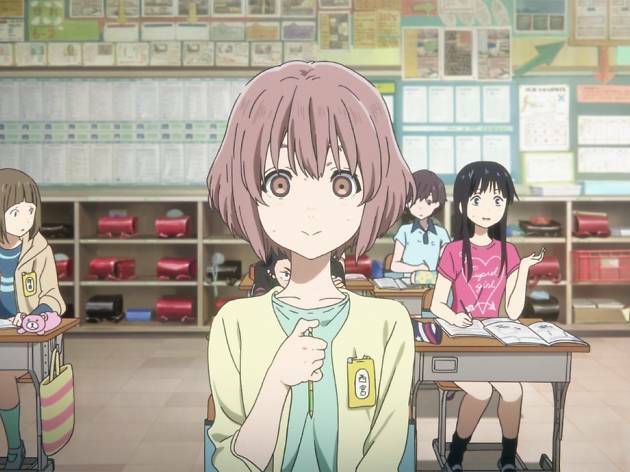 Here, we follow cool-dude bully Shoya, who picks on deaf girl Shoko in class while teachers turn a blind eye and schoolmates fall in behind him. But when the poor girl transfers to another school, Shoya starts taking a long look at himself – and doesn’t like what he sees. Breaking down a seven-volume manga makes for an occasionally clogged storyline, yet here’s a film with the psychological depth to explore the meaning of friendship and the traps of status and approval, and whose characters have enough substance to make their tribulations touching and compelling. To top it all off, Yamada’s creative direction shows a filmmaker with a distinctive way of looking at the world, following in the footsteps of other maverick Japanese talents like Ozu, Kitano and Miyazaki. Yep, she’s that good. My knowledge about Anime is rather limited I'm afraid, but nevertheless did the plot convinced me to go and see it. It's a really emotional movie and the illustrations only add the feeling and enchant you for the time (I think it the movie time was about 2,5 hours - which understandably can be hard to concentrate for). 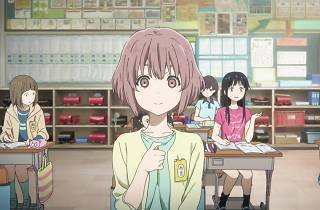 The story is about a girl (Nishimiya) joining a new school - being deaf makes it not only hard for her to adapt, but also for her classmates. Despite some being helpful and caring she becomes a target for bullying (she still tries to be friend with everybody and apologises for being who she is). At one point you realise that the whole class seems to be afraid and nobody stands up for her or themselves. Fast forward some years and you can see the bully (Ishida) being a loner, without any friends, as they have turned their backs on him. The guilt of his past actions weighs heavy on him and he tries to make up for it by tracking her down and befriending Nishimiya. Ishida is looking for redemption, but Nishimiya as well, which was when the movie got slightly confusing. It is no happy, cheer me up movie - but sort of heavy and leaves you thinking. It's very well made and hits a nerve, as bullying is a matter, which is always present and sometimes hard to see or fight. Some bits are really dramatic, but work well in the context. It is definitely worth watching, but be prepared for an emotional rollercoaster.